In some cases Wedding Window uses contractors to collect, use, analyze and otherwise process information on its behalf. It is Wedding Window’s practice to require such suppliers to handle information in a manner consistent with Wedding Window’s policies. Wedding Window may also allow carefully selected Wedding Window partners to participate in limited marketing campaigns solely to promote Wedding Window’s products and services to you. 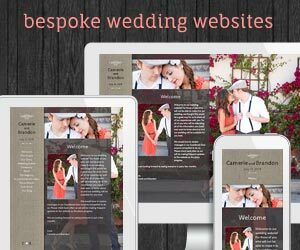 If you request something from a Wedding Window site (for example, a product or service, a callback, or specific marketing materials), we will use the information you provide to fulfill your request. To help us do this, we may share information with others, such as Wedding Window’s business partners, financial institutions, shipping companies, and postal or government authorities (e.g., customs authorities) involved in fulfillment. As part of a transaction, we may also contact you as part of our customer satisfaction surveys or for market research purposes. Your Choices: Wedding Window provides a number of ways for you to ‘opt-out’ of receiving additional information from us, or having us provide your personal information to our partners. We may offer you these choices at the time you give us your information. Safeguarding Your Personal Information: We recognize industry standards and employ security safeguards to protect information from unauthorized access and misuse. We use the most accurate and current information you provide in order to process your request. Furthermore, whenever you transmit sensitive information, such as credit card information, to us through our web site, we provide you access to our secure server that allows encryption across the Internet. Browsers offer varying degrees of security, particularly in regard to encryption. Even the same version of a browser can come with different levels of encryption. For your protection, make sure your browser is set and configured to support Secure Socket Layer (SSL) 2.0/3.0 and employs 128-bit encryption. All acceptable browsers do provide detailed information on security levels in “Properties” or “Document Information” from the browser’s menu bar. See your browser’s “Help” tab or documentation for more information.